On Monday, April 15, thousands of graph enthusiasts around the world will come together to celebrate Leonhard Euler’s birthday – the inventor of graph theory. With over 50 events across 5 continents – in places like São Paulo, London, San Francisco, Bengaluru, Canberra, Austin, Tokyo and more – you’re likely to find a celebration near you. 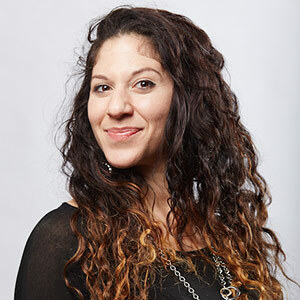 Browse all events on GlobalGraphCelebrationDay.com and RSVP today! Don’t see an event in your area or want to host your own? Read our blog post for all the important details, or simply register your event and get added to the Global Graph Celebration Day map! This day marks a well-deserved (even arguably, necessary) recognition of the Swiss mathematician, Leonhard Euler (OY-ler). His discoveries and accomplishments have continued to play a prominent role in our society; in fact, now more than ever we appreciate his contribution to helping us make sense of the ever-growing abundance of data we encounter. This is why the team at Neo4j approached our community to help us start this movement to celebrate his legacy. 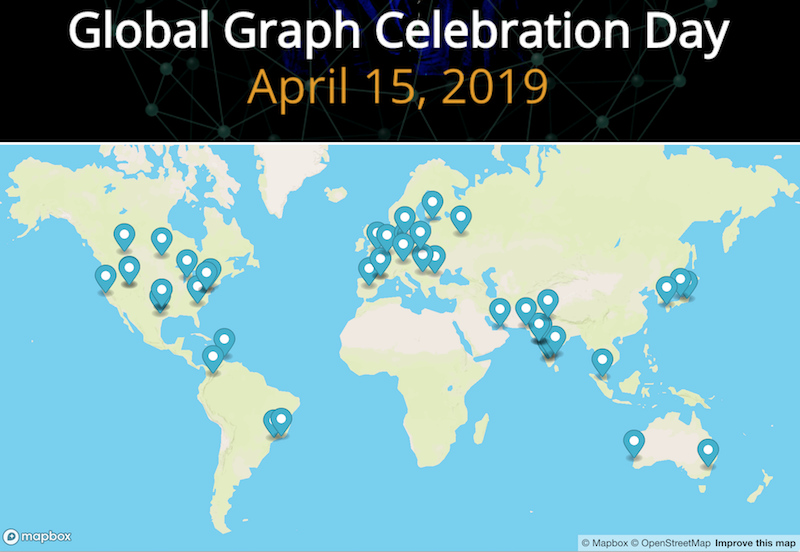 Join us on Monday, April 15th to celebrate Global Graph Celebration Day! We were overwhelmed by the response and support! We are hoping you will also join us! In Basel, Switzerland, 312 years ago, a child was born and would go on to become a legendary mathematician whose legacy endures today. 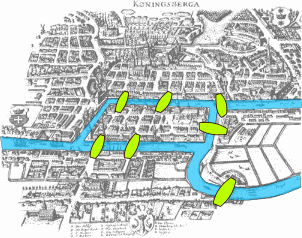 In 1735, Leonhard Euler decided to take on a problem that was regularly discussed by the residents in Königsberg, Germany. The city had seven bridges, which connected two islands with the mainland. People had always wondered if it was possibly to cross each bridge once and only once. 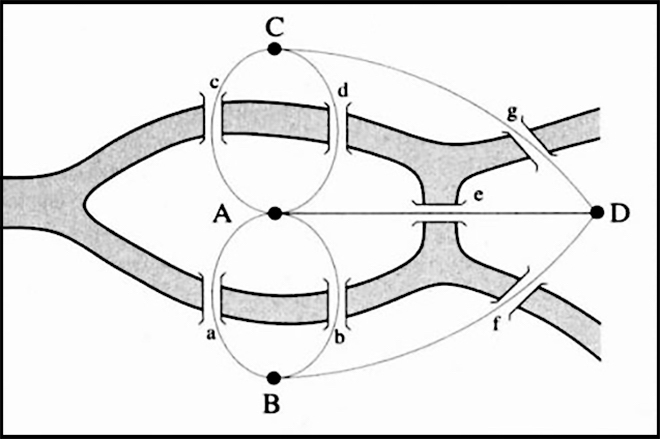 This is where graph theory originated. Euler drew a picture consisting of “dots” representing the landmasses and lines representing the bridges that connected those landmasses. This allowed us him to tackle the problem by simply tracing the graph without actually lifting his pencil. Euler not only proved that its not possible, but also explained why it is not and what should be the characteristics of the graphs, so that its edge could be traversed exactly once. He came out with the then-new concept of “degree of nodes.” The Degree of Nodes is defined as the number of edges touching a given node. Euler proposed that any given graph can be traversed with each edge traversed exactly once if and only if it had zero or exactly two nodes with odd degrees. The graph following this condition is called Eulerian circuit or path. This, my friends, is the birth of graph thinking! Looking forward to seeing you all on April 15th! Enter your email below and we will contact with the details you’ll need to get your event registered, get your t-shirts, and get your event and RSVPs listed in the community graph.